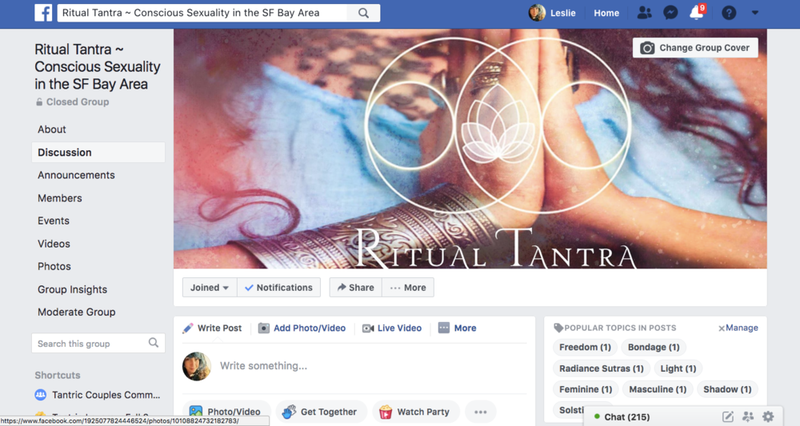 Ritual Tantra offers a variety of experiential, intro-level Tantra classes for singles and couples, and a beautiful community has formed! I feel blessed to offer spaces for people to explore the depth of their sexuality in a way that feels safe and connected. Sign up with your email address to receive news and updates on the latest Ritual Tantra events and classes. For additional resources, FB live videos and more..